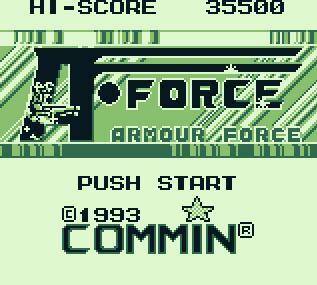 Armour Force (or A-Force as the title screen refers to it) continues the Sachen shoot-em-up trend of giving the player an oversized, slow moving sprite to control. Whereas in Captain Knick Knack this merely seemed to be a bizarre gameplay choice, here it does at least make sense in the context of what passes for this game’s game’s story. The A-Force in question is a giant mechanized robot, not a million miles removed from certain popular anime franchises of the era and almost certainly designed to fool unsuspecting children into thinking that the game is part of one such franchise. As plot goes, there’s some sort of war going on between neighbouring galaxies and your mechanoid who definitely isn’t named Gundam, is an ambassador of sorts, sent into hostile territory, not to deliver a box of Ferrero Rocher as ambassadors are want to do, but instead to deliver a somewhat more convincing reason for the enemy to sign a peace agreement via the smoking end of his photon cannon. The game’s graphics are something of a treat for the Mega Duck although they are also somewhat of a hindrance. 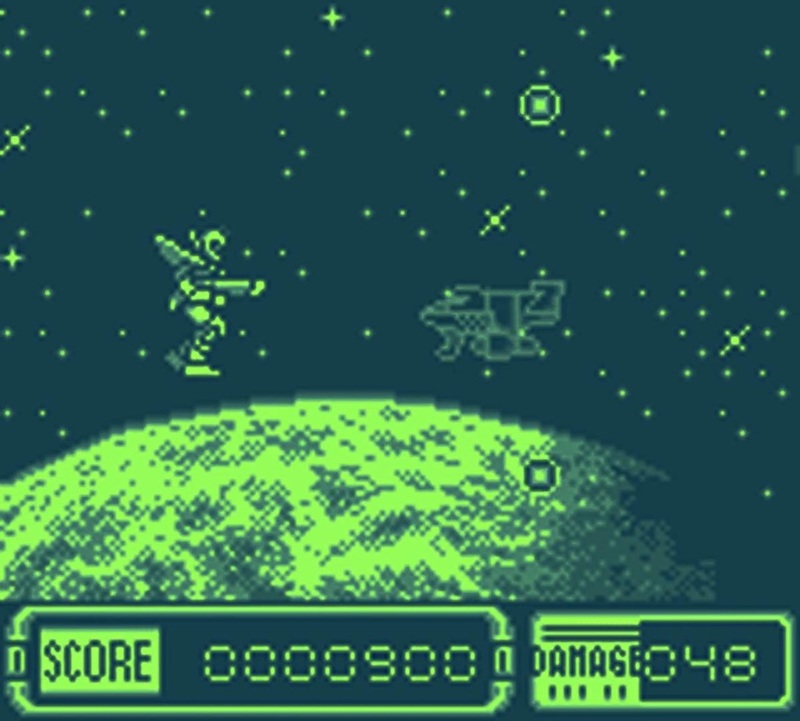 While galaxies, planets, asteroid belts and neatly designed enemy bases scroll by in the background the game’s aesthetic decision to aim for detail is unfortunately curtailed by the inky blackness of space clashing with the awful visibility of the Mega Duck’s screen. While I appreciate the majestic beauty of Uranus (make up your own joke!) looming behind me as I blast through the cosmos, it also makes it next to impossible to see enemy bullets approaching. Background detail such as this planet can make it hard to spot flying bullets, especially on the Mega-Duck's screen. Like many other Taiwanese developed game, naming conventions are thrown out of the window on the title screen. Our Mech-hero uses his special attack on one of the end of level bosses. Spamming these pretty much removes all difficulty. ​Speaking of power-ups, while they exist they remain rather disappointingly limited. Your standard pea-shooter can be switched for either a contra style spread gun or a more powerful laser bolt. The latter is so weak that it is almost not worth getting considering the raw power of the former and the relative ease of dealing with enemy formations. 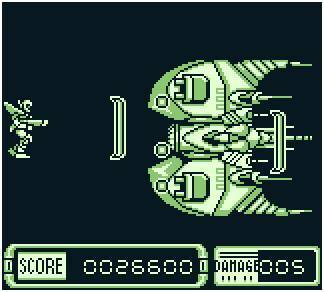 Smart bombs also occasionally appear to wipe out a single bothersome enemy and feel equally like they are only there because someone from Sachen had heard they belonged in shoot-em-ups. Aside from your main weapon, your mech is also equipped with a secondary attack (limited to two per life). When activated with B he becomes shielded and his regular gun becomes a powerful wave beam for around ten seconds. As with Captain Knick Knack this feature is best saved and abused to take down the screen filling bosses, all of whom (bar the final boss) will succumb to two consistent rounds of this super weapon. Sonically, the game tries its best and mostly succeeds to give the player some adrenaline pumping anime-esque music that varies between stages, but which is better than the mostly generic sound effects. The enemy design has a slight Darius feel to it with fishy looking critters attacking from all angles, while the gameplay feels solid and never cheap. Clearly Sachen has some skill and love to pour out when it came to the SHMP genre. It evidently just decided to spread it incredibly thinly. It’s a pity, because Armour Force has a solid game engine and some of the best visuals on the system in its favour. Had it been three or four levels longer and employed its level select feature more fully it could easily have been the systems top-title. As it is, despite its relative brevity it’s still one to seek out if you intend to collect for the Mega Duck, even just as a solid example of what the system might have been able to offer had its own war with the Game Boy been built of sterner stuff.